The Ohaus Trooper Count is an economical counting scale with enhanced software designed for flexible counting operations. Featuring simple to advanced counting modes, 300 memory locations for up to 60 items, and an intuitive, easy-to-operate design, the Ohaus Trooper Count is a practical counting product you can depend on for a full range of industrial use. OHAUS Trooper� Count Counting Scales are economical and designed for flexible, accurate operation. 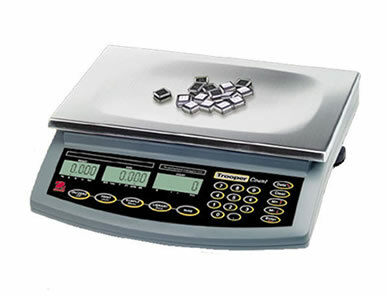 Ideally suited for inventory use, prepackaging, and other counting operations, the Trooper Count Counting Scales offer accuracy, durability and portability in one practical design. 60 SKU memory files for part numbers, tare weights, average pieces weights, accumulations and hi/lo points.